LingoZING! 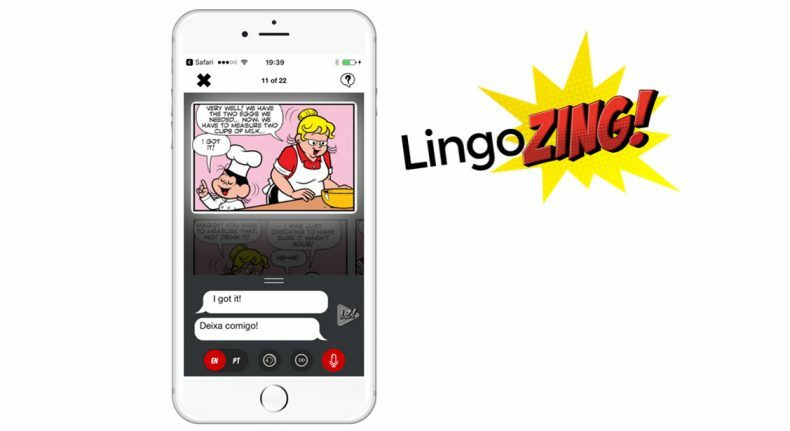 is the only gamifying edutaining app that uses Branded comic books, picture books & graphic novels to teach languages using enabling functionalities: the users can hear well-loved comic books being voiced by actors in normal speed or slowly, read the texts, see the translations, practice their pronunciation and more. Using LingoZING! alongside traditional classroom-based language learning triggers an intuitive grasp and retention thanks to its methodology of presenting words, sentences, sound and text within the context of an engaging story that is read at one’s own pace. Think subtitled movies meets comic books with enabling functionalities. LingoZING also helps children learn to read and write. We are alone in this area.